Hammer Efficiency (HE) - the percentage of time a team takes 2 or more points with hammer, in ends which are scored. Includes all non-blank ends in which a team has hammer. Force Efficiency (FE) - measures the ability of a team to force their opponent to one point. Calculated by number of ends in which the opponent took 1 point divided by all ends against without hammer where the opponent scores. Stolen and blank ends are not included in the calculation. Steal Efficiency (SE) - the percentage of ends a team is able to steal. It's calculated by dividing ends stolen without hammer by the total ends played without hammer, Blank ends are included. Over the years, HE and SD have provided some indication on whether a team was average, good or great. Generally, stats without hammer are less of an indicator of success. 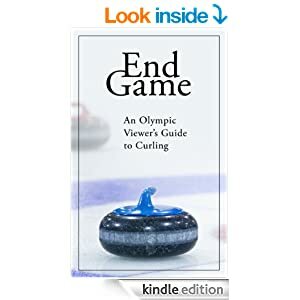 When digging into these CurlingZone stats, over the years it's become apparent that strength of a team was related to how much they avoided stolen ends. A low Steal Defence (say, below .20) meant a good team. When combined with a high Hammer Efficiency (above .45) , indicated likely a great team. Some teams have differing styles and you could see one team with higher HE but higher SD, and vise versa. Now, looking at teams individually, there's still some oddities. Edin and Gushue are top of the rankings and have the highest HF by far (.33 and .39 respectively). Howard was .3 at a ranking of 11 and Koe only .24 while being ranked 3rd. In the womens, Jones and Hasselborg were .28 and .35 while Einarson at 14th had an HF = .27. But for the most part, Hammer Factor seemed to drop with a teams ranking. I haven't yet gone backwards to compare past season results and also haven't yet analyzed against W-L records (just rankings). Perhaps HF could be used in a Bill James Pythagorean Expectation to estimate a team's winning percentage or a Bill James style log5 formula to estimate win probability head-to-head. More to be done with this new calculation, but for now it's fair to say that the higher the Hammer Factor, the better. Pierre Charette may have been a little feisty. Regardless of his position for Team Quebec at the Brier (and he played them all) he was intensely focused on trying to win. During a phenomenal run in the late nineties, he nearly won it all. Teamed with Guy Hemmings and the front end of Dale Ness and Guy Thibaudeau, Pierre reached two consecutive Brier finals in 1998 and '99. Pierre reflects on the early days, his Brier experiences, the evolution of the free guard zone and the beginning of the Grand Slams.